Currently I ferment in a SXS refrigerator with freezer side set to 38*F and the fridge side controlled by a fan in the center wall to what temp I want my carboys fermenting. 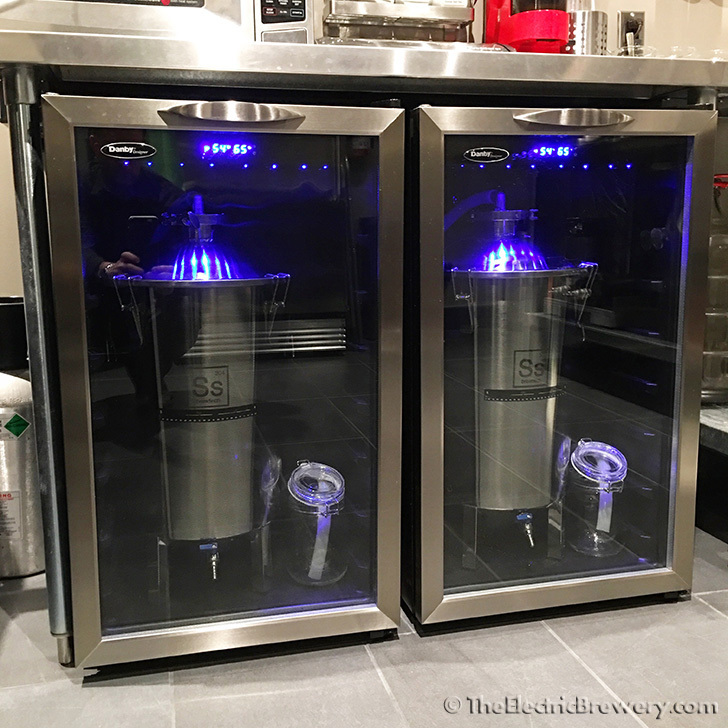 I have the ability to ferment two beers at separate temperatures by using two STC1000s, thermowells and fermwraps. I was checking out Kal's page on using the wine refrigerators as fermentation chambers but was wondering how you get a precise level of control. From what I can tell you control the ambient air around the fermenter and not the actual beer temp inside the fermenter. In my experience the ambient air during fermentation with beer temp of 66*F is around 61-62*F. With the wine fridge setting the temps to 66*F there seems to be no way the fermenting beer will be at 66*F. Not to mention if the beer gets to cold how do you bring it back up to the proper temp without a heater of some sort? 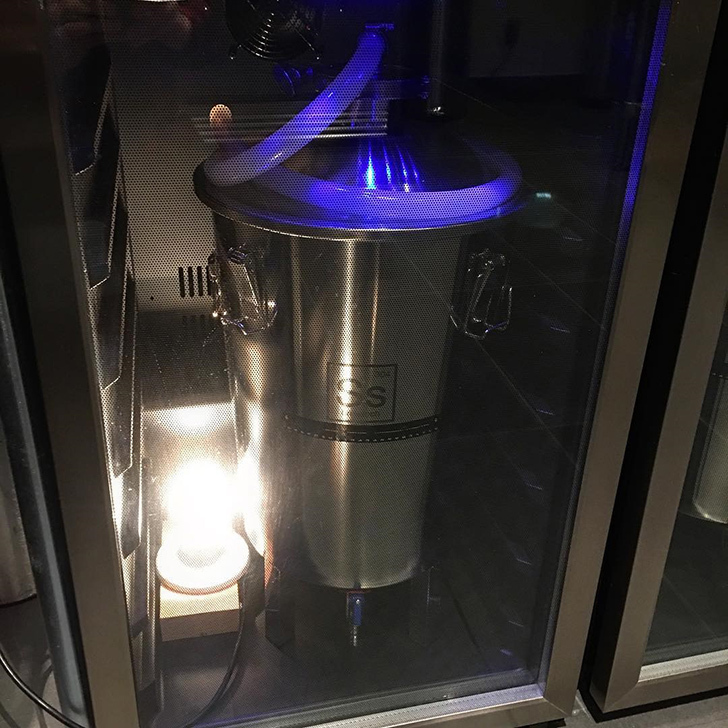 I really like the idea of using something so compact to ferment in but I am not seeing how you can have total control of the fermentation process. My fridges can be set from 39 to 64F, and the wort is typically 2 degrees warmer than the set temperature. So in your case if I want the wort/beer to be at 66F, I set the fridge to the highest setting (64F). To raise the temp, you simply turn up the temp and it rises slowly which I like. It'll heat up slowly because the room temperature in my brewery is usually around 72-74F. I've only once needed to get higher than 72-74F room temp which was while brewing a Saison which got all the way to 95F. I used a light bulb. If I was to do that more often I'd probably use a temp controller to run the bulb. Thanks for the info, your site has helped me a ton. Resurrecting this old thread as I have some question on fermentation fridge/wine cooler. At present, i have no temperature control in the brewery. Being summer in the UK during my first brews, I was able to keep the whole room around 19/20 deg C so had no issues with the fermentation. However, with Autumn here and winter around the corner (had a little snow last week) I need to introduce temperature control. My garage can go from 6 deg C in winter to 26 deg C in summer. If I went the wine cooler route i would need one with integrated heater. There is one that can go from 5 deg to 22 deg C, but these are a little over my budget. 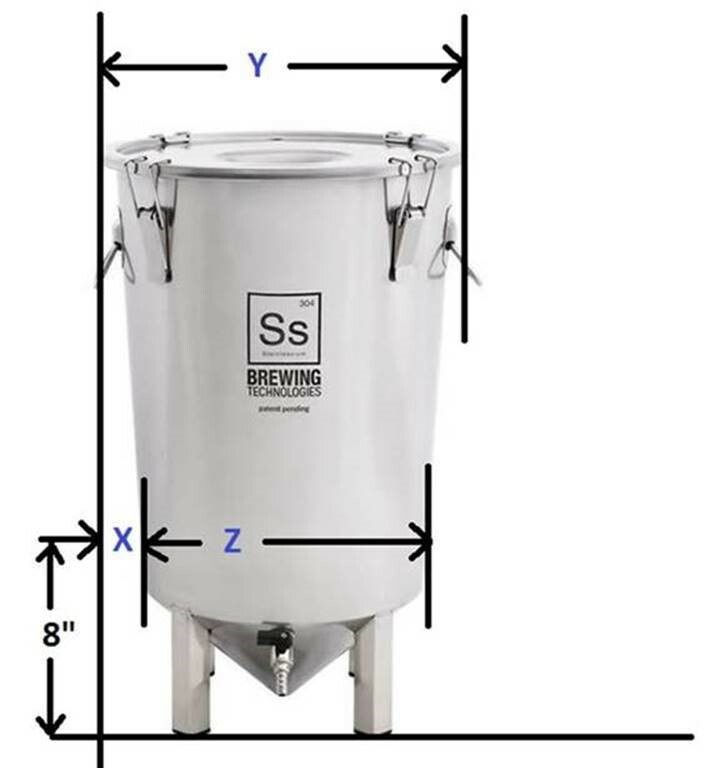 I need two as I have 2 x 7 gal brew buckets. Now looking at display fridges, and controlling with an Inkbird 308. 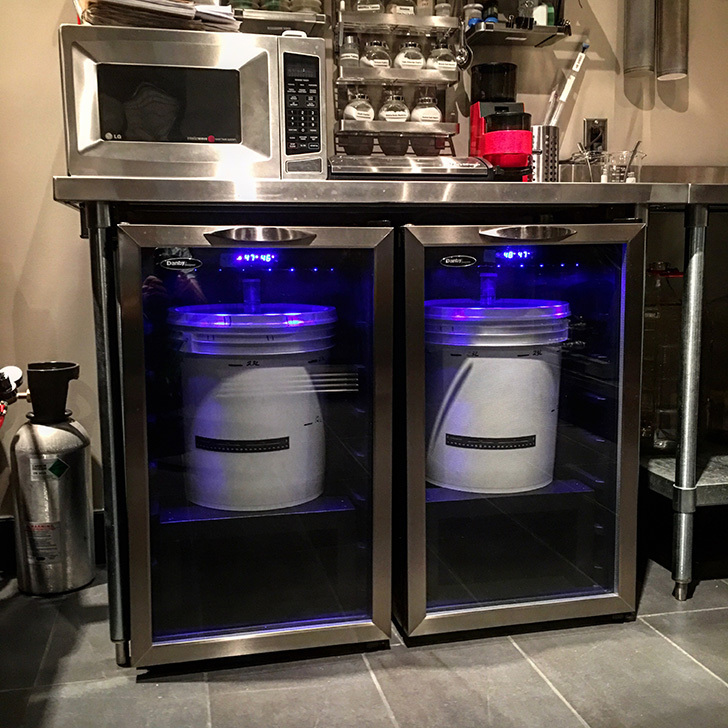 In the photo of your wine fridge, there looks to be plenty of room for the brew bucket. Out of curiosity, what dimension is it from the compressor hump to the front of the fridge? Dealer just got back to me with dimension of 290mm 11.4 inches (hump to glass door) this is about an inch less than your wine fridge. Do you think the 7 gal brew bucket would still fit? The hump height is also important (not just the depth) as it dictates how far into the fridge the brew bucket can sit. You need to make sure that with the edge of the bucket hitting the hump (bottom left) , the lid doesn't hit the door (top right). In my case the hump height in my fridge is 8". You'll have to use the numbers above to calculate how much room you actually need based on your specific fridge. If your hump is not 8" high, your X and Z values will be different. Thanks Kal for the picture/dimensions. I e mailed the manufacturer, who got back to me today. Hump is 175mm (6.9 in) high x 190mm (7.5 in) deep. I will do a scale drawing tomorrow, see if it will fit okay.